Home / CELEBRITY NEWS / Nicole Kidman was "honoured" to play Grace Kelly in 'Grace of Monaco'. 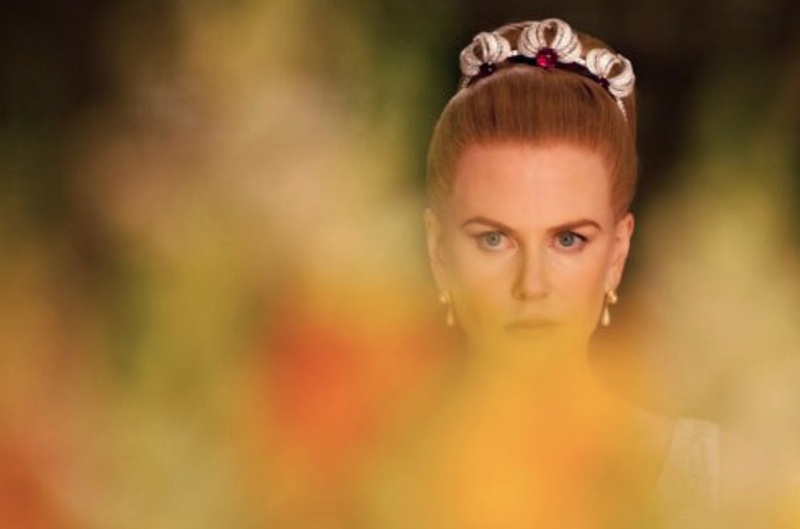 Nicole Kidman was "honoured" to play Grace Kelly in 'Grace of Monaco'. The Oscar-winning star is set to portray the glamorous Hollywood actress - who later became Princess of Monaco after marrying Prince Rainier III of Monaco - in a new biopic and she hopes she is able to successfully bring the character to life. 'Grace of Monaco' will be set in the 1960s and concentrate on the actress-turned-princess' crisis of identity and marriage as her husband, Prince Rainier III, enters into a political dispute with France's Charles De Gaulle. Nicole Kidman would give up her career for love, and why she was drawn to Grace Kelly as a character and a person. She said: "I wanted to be respectful of her, her story and her essence so hopefully that will all come through." What went through your mind when you were first offered the part? It was such a great opportunity; my whole career I am always looking for things that put me on a high wire, and this was one of those roles. Prior to doing the film, I had seen all of the Hitchcock films; I actually hadn't seen THE COUNTRY GIRL, so I saw that, but my favourite performance is in REAR WINDOW; that's my favourite Hitchcock movie as well. I have studied a lot of footage of her because there was a lot of footage available through the years. Some of the most fascinating is before she came [to France]; when she knew she was going to get married to Rainier and she does a press conference, and she is asked questions about the nationality of her children and citizenship and all of those things, and I found that really fascinating. Also there is some footage of her when she was on the boat, travelling over, which I thought was incredible, because she was with all the journalists on the boat; she had her pets and her family... it was unusual and kind of extraordinary. It just magnified how unusual her life was, and how it was rarefied air in which she existed. When you get to work on an icon like Princess Grace, how do you approach the role? I have played people who have existed before in history, so I have had different approaches to different things. For this particular role, there is a lot of footage that is available to watch. I can also hear her voice; I can read a lot of things. We had about five months to prepare so I was able to, very gently, absorb into her skin by watching, listening, absorbing. At the same time, when we talked about it, it was very important that I didn't feel trapped by having to mimic her. It was more [about] trying to find her essence. It was a beautiful experience to live her life for six months. We got to shoot it here [in France]; it was a French crew and a French director, so it wasn't on a studio lot in LA, and I think that imbues the film as well. This film is about Grace Kelly choosing a different path in her life, and walking away from her career as an actress; why do you think she did this? I think she chose love, and I think many people do that in their lives. She was so unique in the sense that she was a major American movie star at a very young age, she won an Academy Award, and she then said ‘I am actually going to leave it all because I want a marriage and I want a family'. I think that's a very strong thrust for many many people, not just women. I completely understand what she did. When the film starts, which is six years into her marriage, with two children; inevitably, if you are a creative person and you have a passion, which Grace did, there is a pull towards what you used to do. As much as you say ‘I can walk away from all of this', the reality of walking away from it is very very different to the idea of it, and I think that's what's so interesting about how the film starts. How important was the jewellery and the clothes to you, in getting into the character of Princess Grace of Monaco? We were so fortunate because Gigi [Lepage] who is a very good friend of Olivier's, happens to be an extraordinary costume designer; so much of the performance was imbued by the costumes. We were lucky because we also had access to the House of Dior, who did a number of costumes in the film, and jewellery by Cartier. We were very very fortunate to have access to the real things. Also, the milliner, his father designed the hats for Grace, so there has been an enormous amount of thought and work that went into that side of the movie. As an actress... Recently, I haven't gotten to do that kind of thing. Probably the last film I did where there was so much attention to detail for the costumes, was MOULIN ROUGE, and I forget how important that can be for the characters. Would you give up acting for love? I have never had to; I would, absolutely. I wouldn't even think twice about it because I would hope there is something else I can do, and I would find something else to do. I think love is the core emotion, and I have certainly existed without that in my life, and it's a very empty life. I have always said; when I won the Oscar I went home and I didn't have that in my life. That was the most intensely lonely period of my life. I have also said, strangely for me, the greatest highs have coincided with the greatest lows; my professional highs have come at times when I have had personal lows and they have collided. That's always aggravated me; that it's gone that way. I hope that one day I can have professional high and personal high [laughs]. I don't know whether that's ever possible, but I would never think twice about it. I also think that once you have children, the love of a parent... You suddenly have the emotion of being able to die for someone, and the power of that emotion is the greatest emotion there is; when you have that selflessness, as soon as that hits you, your whole life changes, and your whole life changes. How do you feel that the Grimaldi family attacked the film and didn't attend the premiere at Cannes? Obviously, I feel sad, because I think that the film has no malice to the family or particularly to Grace of Rainier. It's fictionalised; we have said that, it's not a biopic. There's the essence of truth, but as with a lot of these things, you take dramatic license at times. I understand also, because it's their mother and father, and I understand the protection of the privacy of their mother and father, so it's awkward but I say that and I still have respect and I want them to know that the performance was done with love, and ultimately if they ever did see it, they would see that there is an enormous amount of affection for both their parents. “GRACE OF MONACO” is released and distributed by CAPTIVE CINEMA.